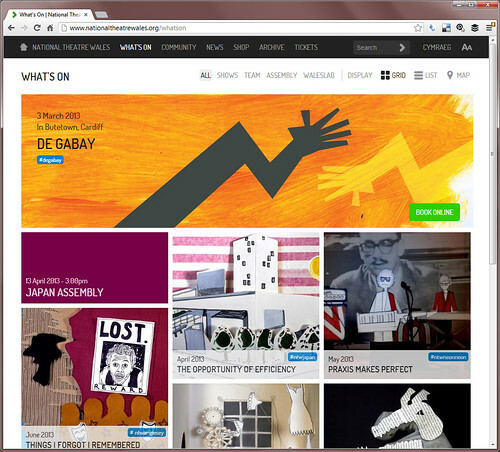 In early 2012 we began a conversation with National Theatre Wales' communications team covering the pitfalls of their first website and how their audience and expectations have developed since they formed in 2009. Most of our informal chats surrounded improving website accessibility and introducing the Welsh language into the site, which remained core throughout our redesign process. There was however one major factor that we didn't foresee when we first developed their website in 2009, which was how people were accessing the site now 3 years on. In just three years the amount of people accessing the site on mobile devices had jumped to 30%, including both phones and tablet computers. Its a little crazy looking back how technology has changed since 2009, just thinking about Apple's 1st generation iPad which launched in 2010 and now we're on the 4th with countless other brands following. It was inevitable that any modifications to the existing National Theatre Wales site needed to respond to this change and allow users access to content on any device. A good starting point for us was to squeeze a large number of National Theatre Wales' people into our space and hold a workshop, developing ideas of what they wanted as individuals and collectively as a company. 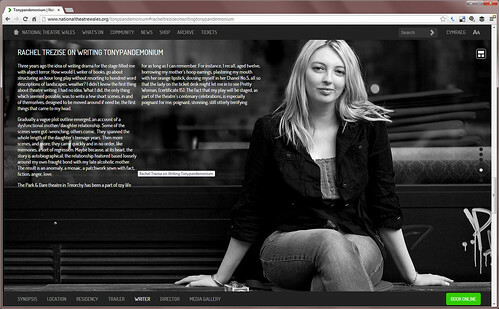 Several hours, three large blackboards and countless post-its later and we began to get a picture of the new site. Planning a website on this scale was a first for us, but I think it worked really well: being able to understand and interpret what is needed with a group of users was brilliant. This collaborative process continued throughout the redevelopment process by prototyping navigation trials and developing a beta version of the site that could be tested and changed by the team. 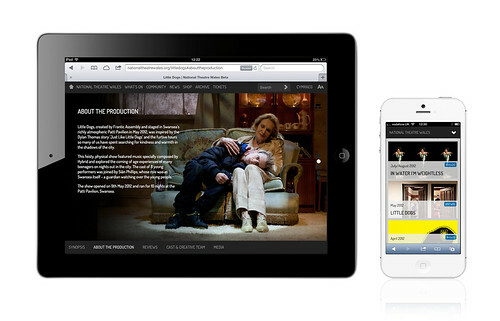 This rapid development allowed us to test the user experience as the build took place, whilst working closely with National Theatre Wales to develop additional ways to interact with their content. Giving us insight to develop pages for individuals using pools of visually rich images, listings for quick access and implementation of the Google Maps API to show the true spread of National Theatre Wales' shows and community members. 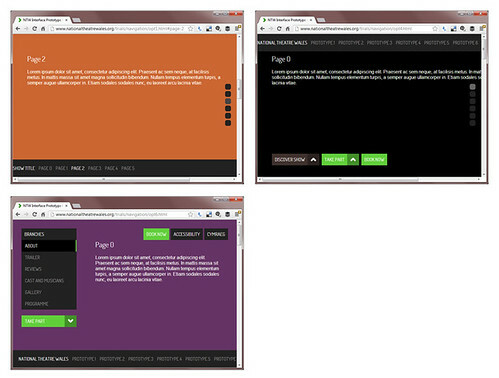 The website itself isn't that far away from the original produced in 2009, with the core structure begin identical. Ok, it looks a little different, but the thought process surrounding the new site, its users and how they will access content has gone far beyond what was originally envisaged in those early accessibility and Welsh language discussions.